The Powell Community Center was created to serve the citizens of Mission, Kansas as a comprehensive and affordable community recreation center. The new two-level center includes a lounge, game room, meeting rooms, aerobic and weight training rooms, gymnasium, and natatorium. 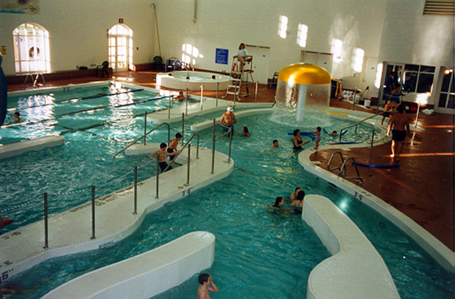 The natatorium includes an indoor leisure pool with three 25-yard lanes, water play features, a corkscrew slide, vortex, current channel, ramp entry and a spa. It was featured as an Architectural Showcase in Athletic Business Magazine in June 2000.